This is an interesting place to visit with your kids. If you love to know about body parts and other organs in detail, then a visit to this museum will please you. If you are into human autonomy then this section will help you in your education. You cannot take any photo here, but the best part of this place is that you can hold a real human brain. You don’t need any entry fee here, but you can donate something in the box if you wish. You can enjoy a comfortable stay in the city by booking the best hotels in Bangkok like Kokotel Bangkok Surawong, Icheck Inn Silom and Amber Boutique Silom. 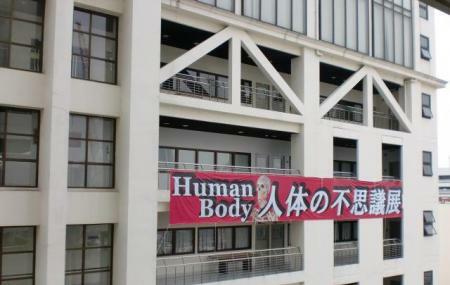 How popular is Human Body Museum? People normally club together Prom Ratchada Residence And Spa and Chaophraya Princess while planning their visit to Human Body Museum. Very interesting. Especially as i am interested in the medical field. There is no admition fee, there is a donation box so you can pay as much as you feel. Here is a university and hospial. Nice images, can see humans body everywhere. Interesting place to spend a few moments. Bit hard to find it's on the ninth floor of the hospital. Also close to dental museum. Interesting. Small muzeum. Was nice. Worth a visit if you are in the area. It's only 2 small rooms so you should be done in less than 1h unless you're a medicine student. Free entry, donations welcomed in the donation box. There are signs that say no photos and no touching allowed. It's fascinating to see these exhibits. My favourites are these ones from the 2nd room: 1. Human body slices - imagine your body cut up into slices (it looks just like steak :p) 2. Bodies of babies from 4th to 10th month - you can see how their little bodies grow bigger, and the hair. 3. Lift up and feel the weight of the brain - I don't know if it's a real brain but it's heavier than I thought.